We have no idea if Jarred Cosart bets on sports. (Maybe you do! Let's talk.) MLB doesn't either, but it intends to find out. After last nights emergence of screenshots of Twitter messages claiming to show the Marlins starter talking bets, MLB has announced that its Department of Investigations will look into the allegations. That obviously doesn't mean there's anything there, or that the source of these claims—an anonymous Twitter tout—has legitimacy. (Gambling Twitter is a shady place.) But an MLB spokesperson told the Miami New Times that they're checking it out, because they pretty much have to; betting is basically baseball's one unforgivable sin. The Marlins confirmed the MLB probe and declined further comment. Here are the alleged DM screenshots featuring the 24-year-old righty, who came to the Marlins from the Astros in a trade last summer. Gambling Twitter had fun going back through Cosart's starts and looking for anomalies, but who the hell knows. It might never have come to anything if not for Cosart's reaction: he first set his Twitter account to private, then deleted it altogether. In a weird subplot, a new Twitter account popped up this morning, purporting to be Cosart's. It claimed that Cosart's old account had been hacked. This new account was quickly deleted. 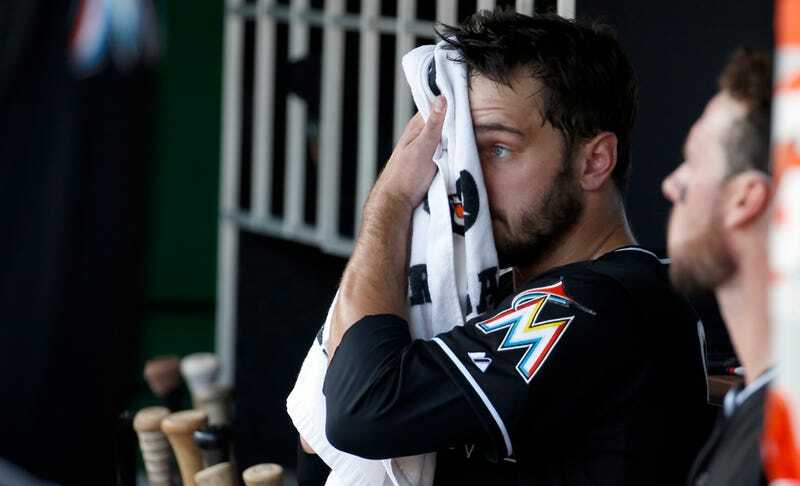 A Marlins spokesperson told a Miami Herald writer that he did not know if this second Twitter account had actually belonged to Cosart.